When we help someone to be happy with their aquarium, then we have done our job. 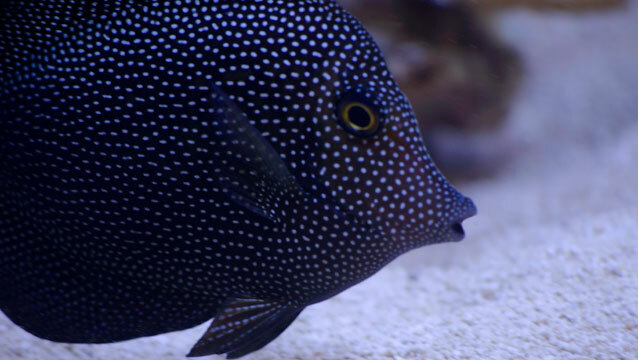 Our staff is well trained, some having decades of experience with taking care of saltwater fish and their tanks. We believe that an informed customer will be a much happier customer, especially over time. When you enter our store, we take the time to answer questions and to help you while you are here, and when you are with your aquarium. Your long-term happiness is where we place our emphasis. All of the fish in our store are pretty, and it is easy to unknowingly select fish that are incompatible with each other or for the tank that you are adding them to. When we see potential issues with your choices, we let you know, so that you can make your selections with more information to work with. Our facility is the largest in the Southeast, and we maintain an inventory of fish for all budgets and tastes. You will see all sorts of fish in our store, ranging from the standard clownfish to some of the rarest fish in the world. We are also distributors for some of the top manufacturers of aquarium equipment. We work hard to stay on top of all the new technologies that the saltwater aquarium industry continues to introduce to make our lives easier and our tanks better.